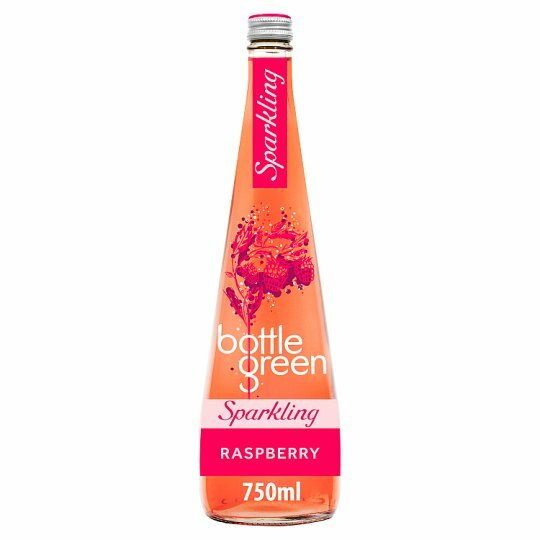 Plump Summer Raspberry sparkling pressé is a delicious fresh and fruity soft drink blending ripe raspberry juice with Cotswold spring water. Plump Summer Raspberry sparkling pressé is a deliciously fresh and fruity sparkling drink which blends Cotswold spring water with Raspberry juice. Our drinks all came from one couple's desire to create something a little bit different, a little bit out of the ordinary. In the true spirit of pioneers, bottlegreen was more of a happy accident than a carefully thought out plan. Using their background in winemaking, the couple decided to turn their hand to creating elderflower cordial using a unique cold-filtration process. It turned out to be so delicious, that the rest is history. We've gone to great lengths to keep this inquisitive spirit alive as we've grown, searching the world for the finest roots, fruits and botanicals. It's reflected in the range of different flavours and novel combinations, as well as the unique techniques we use to keep our drinks pure and natural. Every day, we like to think about where in the world we can go next, to find new inspiration and new flavours. Store in a cool place away from direct sunlight. Refrigerate after opening, replacing lid securely and consume within 3 days., Best before end: see neck of bottle.